The Order Coleoptera includes more than 300,000 species of beetle that have been classified worldwide. In North America alone there are approximately 30,000 known species with about 1000 of those being both aquatic and semi-aquatic water beetles. The Order is aptly named Coleoptera which means shield-wing since these beetles have front wings that are hardened covers which shield the rear working wings from damage. The aquatic beetles in this Order are very diverse with Predaceous Diving Beetles (Family Dytiscidae) being the most common with well over 400 species and 35 genera inhabiting most trout water. 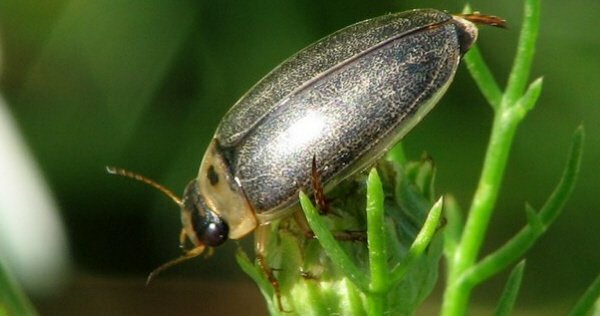 Another species common to trout water is the whirligig beetle (Family Gyrinidae) which can often be found swimming together in large groups on the surface of calm water. These beetles have an interesting adaptation to living on the water surface in that they have evolved to be "four-eyed", with one pair of eyes above the water and another below. Other beetles that might be found in trout water include the Elmid, or riffle beetles, Psphenid, or water-penny beetles, and the little heart-shaped Haliplids, or crawling water beetles. The Order Collembola comprises freshwater springtails which are very small but distinctive aquatic insects that belong to one of the oldest insect orders dating back to the Devonian period over 345 million years ago. The Collembola are strange-looking little insects that can sometimes be found in large numbers on quite edge waters where they move about the surface film often in or about vegetation or decaying organic matter. These insects have evolved a jumping device composed of a furcula and tenaculum which allows them to leap many times their own length. Little is known of the biology or ecology of these species that are usually less than 3mm in length and rarely up to 6mm in length. 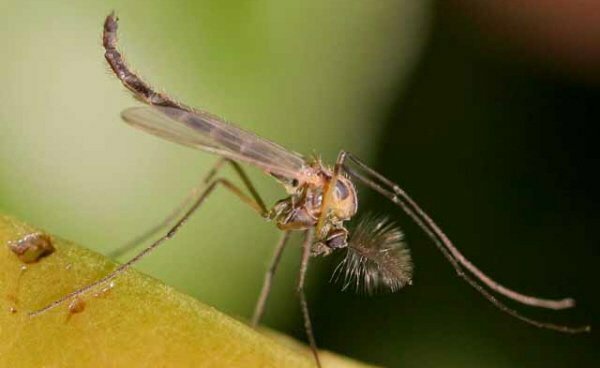 The insect Order Diptera includes Midges, Mosquitoes, Aquatic Gnats and Flies. The word Diptera refers to the fact that the adult form poses only two (Di) wings (ptera) and thus its species are true flies. This is one of the most highly evolved and most biologically diverse of all insect orders with over 3500 of aquatic and semi-aquatic species of Diptera in North America. Major families of Aquatic Diptera include the Family Tabanidae, which are the horseflies and deerflies, the Family Culicidae, mosquitoes, the Family Simuliidae, the biting blackflies and the Family Chironomidae the midges. Speaking to their ability to evolve, some species of semi-aquatic Diptera have developed various adaptations to colonize the aquatic habitat include breathing tubes, silken tunnels, and ventral suction cups. This is the Order of Mayflies that are thought to be rather primitive insects that exhibit the primitive traits of tails and the inability to fold back their wings. There are probably over 700 known species of Mayflies in North America who are the most common and important of all bottom dwelling aquatic insects. Most of their lives are spent as nymphs living sometimes for several years under the water before emerging as adults to mate and lay eggs in a few hours or at most a few days. This is where the order got its name, from the "ephemeral" nature of the insects' adult life. 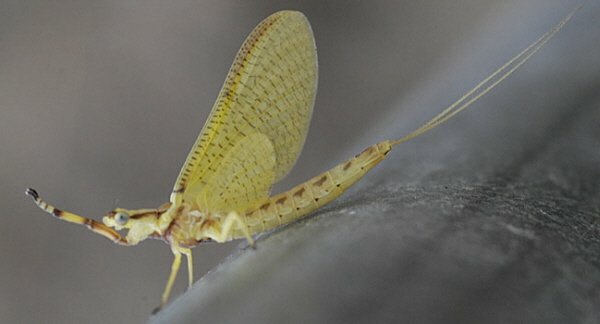 Mayflies are the only insects known to molt after reaching a winged form. After emerging from the water they live briefly as a winged form called a subimago which molts again to the adult form. The Order Hemiptera contains about 400 species of Water Bugs that are divided into both aquatic and terrestrial families with 100 of those species that inhabit only the waters edge. Water Bugs vary greatly in size from tiny insects called Water-Measurers (Family Hydrometridae) to the huge Giant Water Bugs (Family Belostomatidae) which can reach 7 centimeters or more in length. The majority of aquatic Hemipterans are predators and this can be seen from their raptorial forelegs and sharp piercing mouthparts. The most formidable of these insects is a small round bug called a Creeping Water Bug (Family Naucoridae) which is capable of inflecting a hornet-like sting. 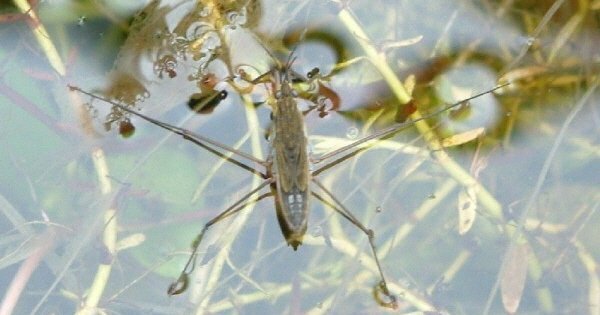 Other species that inhabit trout waters include; Water Scorpions (Family Nepidae), Backswimmers (Family Notonectidae), Water Boatmen (Family Corixidae), and Water Striders (Family Gerridae). Many of these species inhabit water that is slow-moving with emergent vegetation is present. The Order Lepidoptera comprises both butterflies and moths the larvas of which are known as caterpillars. The Order contains over 10,000 species however only about 50 species are known to be truly aquatic. There are about another 100 species of Lepidoptera that are known to be semi-aquatic that are primarily miners and borers in emergent plants. All caterpillars are herbivores that often have a close association with their host plants. One of the most common aquatic Lepidoptera is the Aquatic Pyralid Moths (Family Pyralidae) that as larva have gills and live in underwater parts of vascular plants. Some larvas of this Order live on the rocky substrates of streams and rivers as well as on or in aquatic plants. Larvas are known to occasionally swim on or just below the surface but almost never deeper. The Order Megaloptera contains large insects commonly known as alderflies, dobsonflies or fishflies which can be quite striking both as larvae and as adults. Larvas of this Family are primarily aquatic where as the adult life stages are entirely terrestrial. 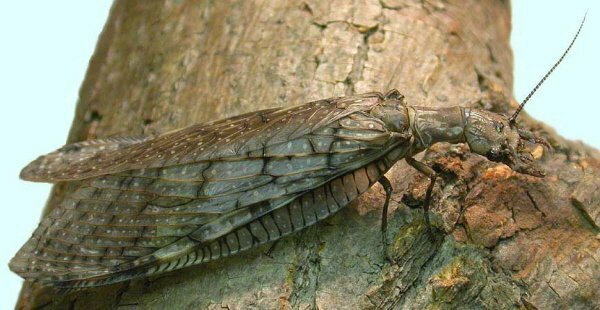 The immature form of the dobsonfly is often called a hellgramite; these fierce larvae can be over three inches long and are equipped with strong mandibles that are very formidable. They are common in rocky, fast moving areas of trout water where they live by hunting down and eating other aquatic animals. When they become adults they still look formidable because many of the adult males have grossly exaggerated jaws. 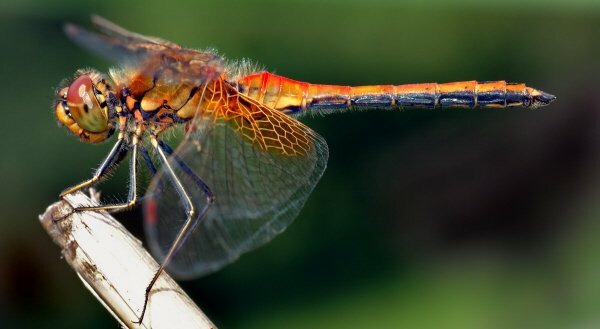 The Order Odonata contains aquatic insects commonly known as dragonflies and damselflies. 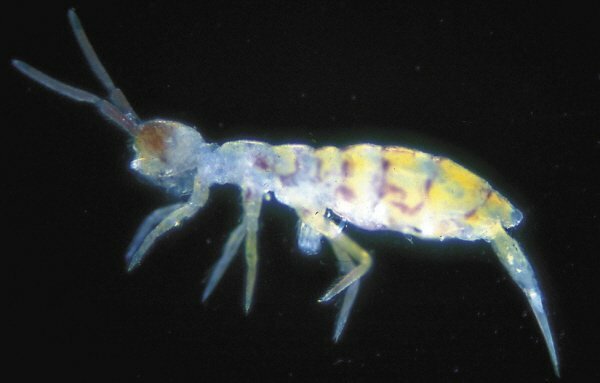 There are currently about 450 known species in North America all of which are predators in both the nymph life stage and the adult life stage. The order is considered primitive primarily since they do not have the ability to fold back their wings. Some Odonate fossils that date back from the Carboniferous period had wingspans of over a meter in length. As predators, Odonate larvae have specially equipped mouthparts that can be extended to capture prey. Various adult Odonata feed heavily on mosquitoes and can reduce local populations of this unwanted Diptera significantly by very efficiently scooping them out of the air with their basket-like arrangement of legs. Aquatic insects of the Order Plecoptera are called stoneflies probably due to the fact that nymphs are commonly found crawling around or hiding among the bolders and stones of rivers and streams. This Order is closely related to cockroaches and although they retain the primitive trait of having tails they do have the ability to fold back their wings. There are close to 500 species found in North America, most of which prefer the cold, clean and highly oxygenated waters of trout inhabited streams and rivers. For the angler, stonefly nymphs are somewhat easy to identify for they look very much like the adults only without wings. Stonefly adults can be found throughout the year since some have adapted for winter emergence with early spring hatches common. 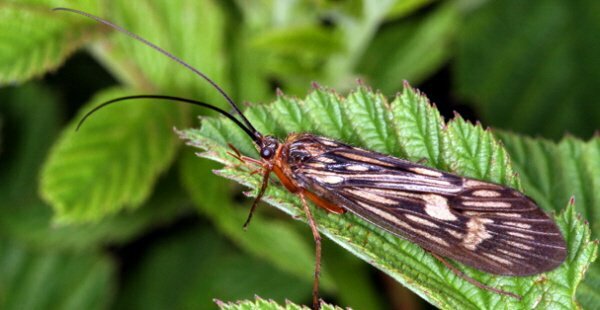 Trichoptera is a highly advanced order of aquatic insects called Caddisflies that are closely related to the Order Lepidoptera, Butterflies and Moths. There are roughly 1200 species of Trichoptera in North America divided into Families that are largely classified by the mechanism in which they create their protective covering as larva i.e. case builder, net spinner or free living. Case builder Families are actually grouped by way they build their larval cases for example tubecase maker, strongcase maker, hoodcase maker. The name Trichoptera comes from trichos meaning hair and pteron meaning wing. This descriptive title refers to the fact that caddisflies have fine hair like fibers on their wings rather than the usual scale-like appearance of other aquatics. Caddisfly larvae are often large and represent an important component of the food chain of a trout stream.